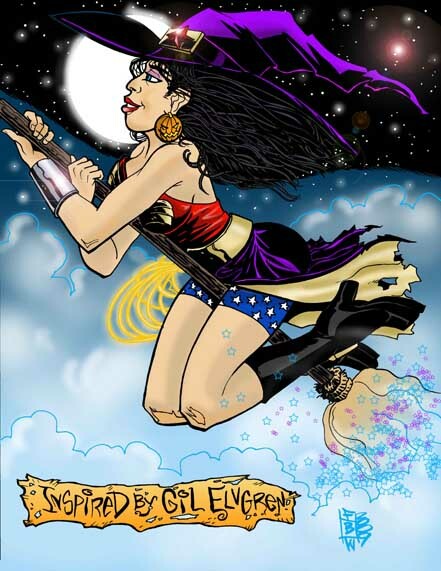 Previous featured artist Frankie Washington (artist for Marooned on Mogo) provided this amazing piece of artwork of Wonder Woman in Halloween dress inspired by the late Gil Elvgreen. Very Happy Halloween y’all. Don’t eat too much candy. Really like this image and the details. Especially Wonder Woman’s free flowing hair and the little pumpkins used as earrings. 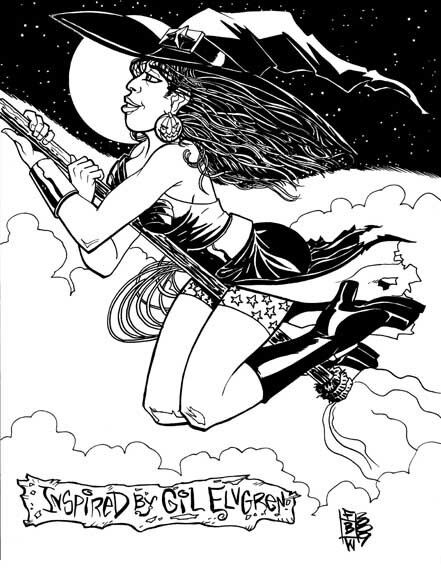 Posted: October 31st, 2009 under art, comic, Featured Artist. You do a quick search for washington on this blog. I’ve showcased quite a bit of Frankie’s work. Yeah… It is Halloween. Too bad that I did not celebrate. How about you? There were quite a lot of kids from the neighbourhood dressed up ready for trick or treating. Nice friendly atmosphere though. hehe two of my favourite things ever: Wonder Woman and Halloween! Was the Halloweeners in your area? Favourite of the night was three girls dressed up as M&Ms . . Chocolate (Red), Peanut (Yellow) and Crispy (Blue). Dear Friends, Happy late Hallowen(: !